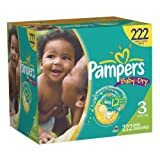 I have just shared two printable coupons for Pampers, but if you prefer Huggies there are a few coupons available. 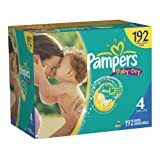 These coupons are available on Amazon.com which means in order to redeem them you will need to purchase the diapers on Amazon. This is not a problem as the shipping is free and the prices are great. Check the offers below to find a deal and coupon!